Shelly Tomaszewski has worked with clients in manufacturing, customer service, quality and sales in the United States and in Europe. Her expertise in HR and creative problem solving, as well as her strong analytical and facilitation skills, enable her to offer clients solutions to many of their most vexing problems. Before her consulting career, she spent 20 years at GE, and served as an interim HR Director for a Louisville-headquartered health care organization. Birkman Consulting: Shelly is certified and experienced in the Birkman Method, an assessment that enables individuals to understand their own personality strengths and what makes them unique. Shelly has used the Birkman Method with teams to provide insight and create a common language for communicating. With individuals, Shelly has used this method as a coaching tool and to explore career options. Human Resources and Organizational Effectiveness: Shelly helps organizations analyze the effectiveness of their organization and to develop HR processes to identify, develop, reward, and retain talent. 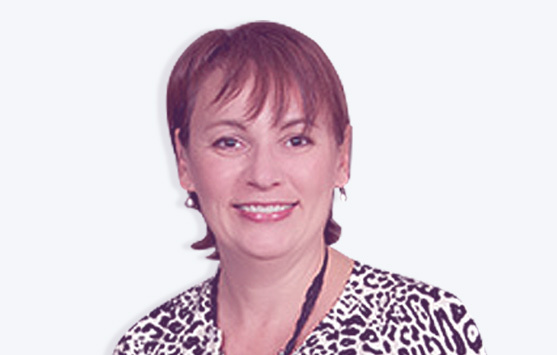 Shelly is especially well versed in succession planning and talent assessment and development. Leadership Development and Executive Coaching: Shelly helps leaders identify specific areas that need improvement and gives leaders tools to improve in measurable ways. Strategic Planning helps companies set and achieve goals using a defined process accountable to measurement tools. Shelly is especially well versed in succession planning and organizational effectiveness. Facilitation: A facilitator sets the tone for a meeting and redirects when things go awry. Shelly works closely with leadership to design meetings for maximum effectiveness – establishing ground rules, determining participants, defining goals and objectives, and creating actions to measure success. Shelly earned her bachelor’s degree from the University of New Haven and her MBA from Boston University. She is certified as a Six Sigma Green Belt and a GE WorkOut Facilitator. She helps executives discover and capitalize on their unique strengths using Birkman leadership assessments and her experience with 360 profile tools. She is a graduate of GE’s Executive Assessment and Development process and has completed the Coaches Training Institute Fundamentals course. Worked with a pharmacy services company on team development using Birkman Method techniques. The work helped team members understand themselves better through one-on-one coaching sessions and others better through facilitated group session – resulting in better overall productivity together. Facilitated leadership effectiveness work for a telecommunications company. Shelly assessed the current state of business and worked through organizational issues before identifying steps to grow the business. She gathered information through interviews with key stakeholders to identify what was working well within the organization and to identify issues to address. Worked with a team at a non-profit organization to define and clarify roles & responsibilities, helping them become more effective as a team. Facilitated multi-day session to help a non-profit organization define criteria to prioritize spending and to analyze budget requests against that criteria. Worked with a senior living company to assess and improve all aspects of their Human Resource processes – including staffing, rewards and recognition, performance management, and leadership development. Connect with Shelly to learn more about how she can add value to your organization.